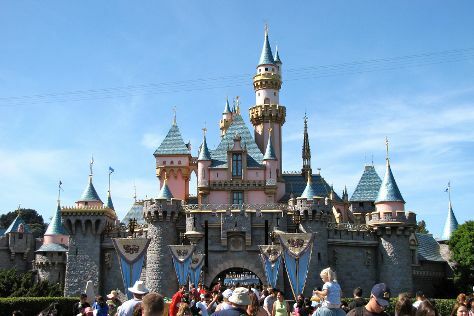 Family-friendly places like Disney California Adventure Park and Disneyland Park will thrill your kids. Explore Los Angeles' surroundings by going to Six Flags Magic Mountain (in Santa Clarita) and Downtown Disney (in Anaheim). Pack the 15th (Fri) with family-friendly diversions at Universal Studios Hollywood. There's still lots to do: see the sky in a new way at Griffith Observatory, enjoy the sand and surf at Venice Beach and Boardwalk, get to know the fascinating history of Hollywood Walk of Fame, and take a leisurely stroll along Santa Monica Pier. If you are flying in from United States, the closest major airports are Los Angeles International Airport, John Wayne Airport-Orange County Airport and Ontario International Airport. Expect a daytime high around 68°F in December, and nighttime lows around 49°F. Wrap up your sightseeing on the 25th (Mon) early enough to travel to Mumbai (Bombay). Kids will appreciate attractions like Chowpatty Beach and Aksa Beach. When in Mumbai (Bombay), make a side trip to see Versoli Beach in Alibaug, approximately 1h 50 min away. Pack the 2nd (Tue) with family-friendly diversions at KidZania Mumbai. There's still lots to do: let your taste buds guide you at a local gastronomic tour, take in the views from Bandra-Worli Sea Link, don't miss a visit to Dhobi Ghat, and take a stroll through Dharavi. Getting from Los Angeles to Mumbai (Bombay) by flight takes about 22.5 hours. You'll lose 13 hours traveling from Los Angeles to Mumbai (Bombay) due to the time zone difference. Expect warmer weather when traveling from Los Angeles in December: highs in Mumbai (Bombay) hover around 90°F, while lows dip to 66°F. On the 3rd (Wed), wrap the sightseeing up by early afternoon so you can travel back home.